WELCOME! Founded in 2007, Arcilesi Films has produced a dynamic catalogue of multi award-winning films that have screened throughout Canada, U.S. and Europe. Each story sheds light on subject matter that is less likely to be seen and heard about in the mainstream. 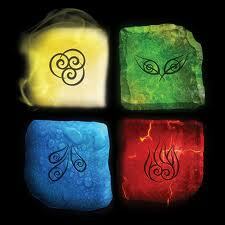 And behind each story is the story of how it all came to light. Here you will find everything that you need to learn about Arcilesi Films, a world within fade in and fade out. "...a really cool concept for a short film; there was a bit of Neill Blomkamp’s District 9 about it. The acting is solid... ...one can only hope a more extensive story is in the works... ...a full length feature is dying to be explored. 8/10." 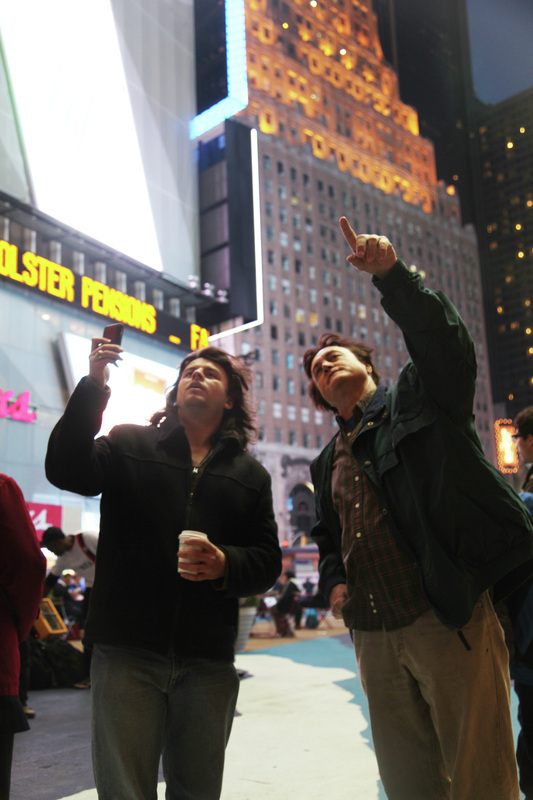 Adam Weber of Adam the Movie God takes a look at the multi award-winning, 38-festivals-and-counting For Clearer Skies. Be sure to visit the Official For Clearer Skies Web Page for the Official Teaser Trailer, behind the scenes photos, cast and crew bios, production notes and trivia, and more! 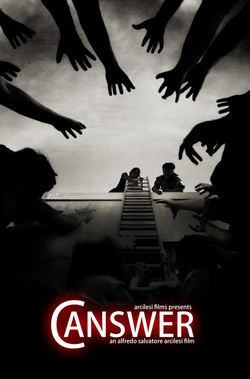 Canswer, the second feature film from Arcilesi Films, is set for its World Premiere at the 8th Macabre Faire Film Festival (Winter 2015) as part of the NY Horror Show in Long Island, New York. Canswer has garnered two nominations: Best Actress (Sarah Cunningham) and Best Cinematography. For more on Canswer, please click here. 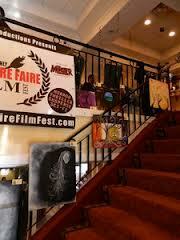 For more on the Macabre Faire Film Festival, please click here. "...Canswer is one of those priceless films that works on every level and ranks among the best zombie movies... Robert Nolan and Sarah Cunningham are fantastic... The characterization reminded me in a very positive way of the personalities of individuals in The Walking Dead and Game of Thrones. ...a work of pure genius." David Oaks of ZMDB reviews Canswer. Be sure to visit the Official Canswer Web Page for Official Teaser Trailers, behind the scenes photos, cast and crew bios, fan-made films and skits, and more! "...Arcilesi really does a good job in the direction... ...the visuals are fantastic... ...Canswer is an entertaining film... ...an interesting take on the zombie apocalypse type of film." Mark Krawczyk of the video review website The Final Cut reviews Canswer. For the full video review, please click here. The wonderful folks at the UK/Paris-based Film Industry Network have featured Arcilesi Films' third feature film, Usher, the Usher, and actress Christina Santos who will be portraying the childlike yet engaging Anne. Arcilesi Films is proud to announce the preproduction phase of its third feature film, Usher, the Usher. For more details on the film, including production notes/trivia and behind the scenes photos, and to meet the cast and crew, click here. "...a movie where the backstories of our duo is everything. It is a zombie movie, but if you watch this for gory zombie action then you're in the wrong place. ...a great spin on the zombie genre." Ronny Carlsson of Film Bizarro reviews Canswer. "But make no mistake, each and every one of us has either personally battled one or more cancers either once or more than once and/or know or have known at least one person who has fought the battle. It is a very sad truth that cancer lives within each of us." 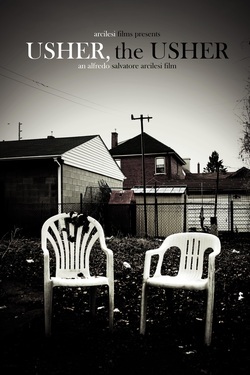 Michael Haberfelner of Search My Trash conducted an extensive online interview with writer/producer/director Alfredo Salvatore Arcilesi regarding Canswer, the second feature film from Arcilesi Films. For more interviews, please visit In the Media. "What should have been a fifteen-minute film was stretched over 82 minutes of filler and mundanity. 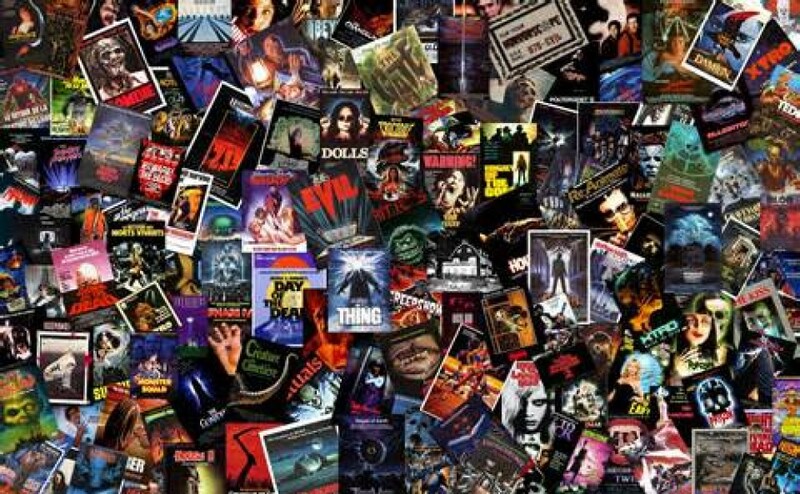 Dialog is the driving force behind a good story and the cornerstone of low budget filmmaking. Without good dialog, you’re left with nothing because you just don’t have the cash for explosions or magnificent set pieces or stylized fight scenes. Without a good story driven forward by the carefully-chosen words of compelling characters, you end up with a worst-case-scenario of indie filmmaking -- a terminal case of inoperable movie cancer like Canswer." Like life's little experiences, not all reviews are positive. For the complete review of Canswer from Vile Reviews, please click here. 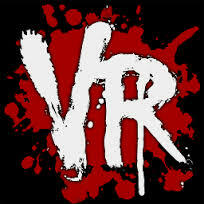 "...takes a highly original twist on the zombie genre. In a character and dialogue-driven film like this, the actors really needed to convey as well as evoke emotion from the viewer. Fortunately, Robert Nolan, as Cillian (tragic lead scientist), and Sarah Cunningham, as Ellen (enigmatic lady mechanic), were up to that challenge. The cinematography was absolutely beautiful..."
MojoDawn of In the Audience reviews Canswer. For the complete review of Canswer from In the Audience, please click here. "Canswer is very probably one of the most unusual zombie films out there... ...leads Sarah Cunningham and Robert Nolan carry the movie just beautifully... ...very fluid camerawork and an atmospheric directorial effort that makes the most out of very little (two people on a rooftop), and you've got yourself a rather impressive movie!" Michael Haberfelner of Search My Trash reviews Canswer, and be sure to stay tuned for a Q&A between Michael and writer/producer/director Alfredo Salvatore Arcilesi. "...a bizarre example of a zombie film. It's heady and it's wild and you won't find another zombie flick this year that has this much originality." Arcilesi Films is proud to have Canswer receive its first review from none other than Rogue Cinema. For the complete review of Canswer from Rogue Cinema, please click here. Billy Conrad, of the independent film, TV, and web series review website Indy Red, took a look at For Clearer Skies. To read why he gave the film "4.5 out of 5," be sure to check out his review on the Official For Clearer Skies Page. The multi award-winning For Clearer Skies took home the Audience Choice Award at the SharpCuts Guelph Indie Film & Music Festival 2012. 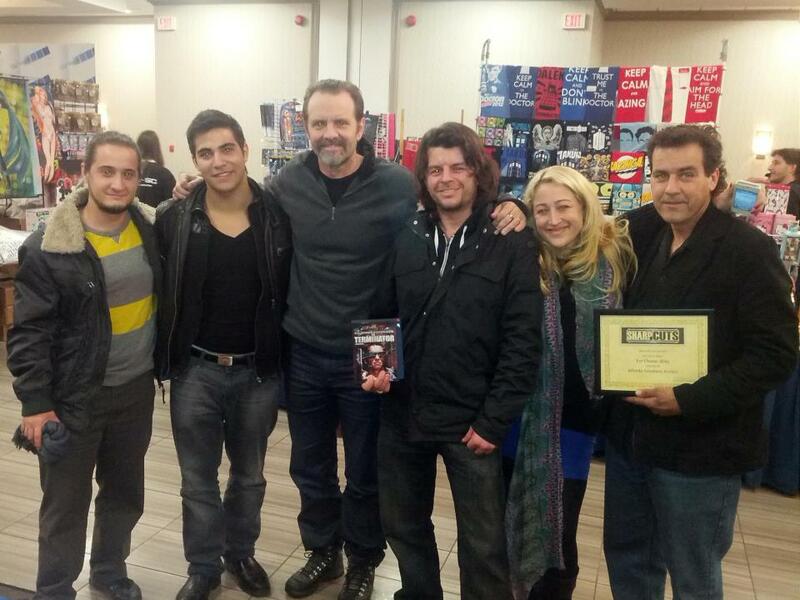 Thank you to our talented cast and crew, and a special thank you to Thomas M. Gofton and Tom Brown of the SharpCuts Guelph Indie Film & Music Festival 2012 / GenreCon. The first time it was Williamsburg, now the multi award-winning Reverie Three returns to New York as part of the 3rd Macabre Faire Film Festival in Long Island. Reverie Three will be hitting the screens from Friday, May 31, 2013 to Sunday, June 2, 2013. The multi award-winning God's Acre continues to enjoy a film festival afterlife as an Official Selection at the 3rd Macabre Faire Film Festival in Long Island. God's Acre will join grace the screens from Friday, May 31, 2013 to Sunday, June 2, 2013. 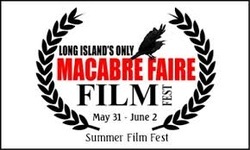 After over four years, the dark drama Scent of Rosemary will enjoy its World Premiere at none other than the 3rd Macabre Faire Film Festival in Long Island. The festival is set to run from Friday, May 31, 2013 to Sunday, June 2, 2013. The Best Sci-Fi (SharpCuts Guelph Indie Film & Music Festival 2012) and Best Screenplay (2nd Macabre Faire Film Festival [Winter 2013]) winner, For Clearer Skies, will be science fictionalizing the big screen as part of the 7th Annual Canadian Film Fest at Toronto's very own The Royal on Friday, March 22, 2013 at 9:00PM. 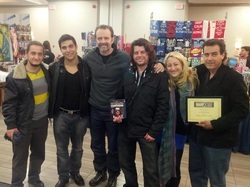 Arcilesi Films was in Long Island for the 2nd Macabre Faire Film Festival on Saturday, January 19, 2013 to Sunday, January 20, 2013. For Clearer Skies received five nominations (Best Sound, Best Actress (Kelly-Marie Murtha), Best Screenplay, Best Director, and Best Film) and took home the Best Screenplay Award. Special thanks to the filmmakers, organizers, judges, and organizers for putting your warm, familial hospitality and putting on a wicked show! 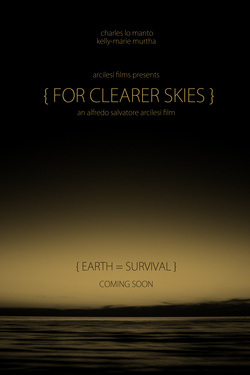 For Clearer Skies has been nominated for 5 awards at the Macabre Faire Film Festival in Long Island. Nominations include Best Sound, Best Actress (Kelly-Marie Murtha), Best Screenplay, Best Director, and Best Film. 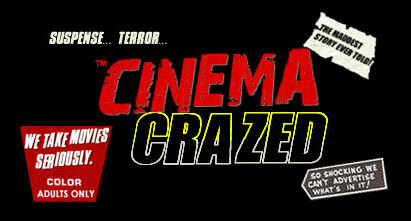 For Clearer Skies will be screening at the Macabre Faire Film Festival on Saturday, January 19, 2013 at 8:15PM. From movies to props, comic book to DVDs, collectibles and celebrities, GenreCon has it all! For Clearer Skies screened and took home the Best Sci-Fi Award at GenreCon as part of the SharpCuts Guelph Indie Film & Music Festival 2012. The Arcilesi Films team made sure to take a moment to chat with Michael Biehn (The Terminator, Aliens) and Jennifer Blanc-Biehn (The Crow). Felix Vasquez Jr. of Cinema Crazed took a look at For Clearer Skies, the latest film from Arcilesi Films. Curious about what he had to say? Then check out the Official For Clearer Skies Page. The kind people at Rogue Cinema have always provided an articulate and, among many other good things, an honest review for countless films, including select titles from Arcilesi Films. In keeping with the tradition, Duane L. Martin, founder of Rogue Cinema, forwarded For Clearer Skies, the latest film from Arcilesi Films, to film reviewer/writer Philip Smolen. Check out the Official For Clearer Skies Page to see what he had to say. Sunday, May 13, 2012 marked the fourth of five shoot dates for Canswer, the second feature film from Arcilesi Films. With hundreds of applicants via various sites including Facebook and The Toronto Zombie Walk, Mother's Day quickly transformed into a day of zombie mayhem! Affectionately dubbed "Mombie Day" by the cast and crew, the officially named "GET INFECTED! Zombie Day Event" drew much media attention. Part of the Infected Horde was Fangoria's own Kelly Michael Stewart who not only brought his mother (or "mombie") to "get infected," but also his mic and camera as he had the chance to chat it up with some of the cast, crew, and eager members of the Infected Horde. 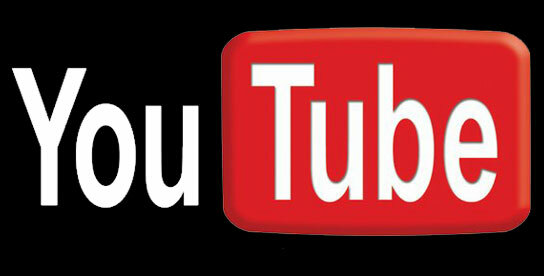 Check out the interview videos on our Official Canswer Page. The double feature script Marytale has been announced as an Official Selection of the 15th Annual George Lindsey UNA Film Festival in Florence, Alabama. Celebrated actor and Jasper native, Michael Rooker, will be in attendance as a special guest. "The George Lindsey UNA Film Festival was founded in 1998 in part by UNA alumnus and celebrated actor and entertainer George Lindsey. Lindsey's own film career has included several important roles, including the character Goober Pyle on The Andy Griffith Show." So what happens when Arcilesi Films is not producing its own material? Find out at our newest page, Outside Arcilesi Films, and be sure to check out our first installment by the awkwardly funny comedy duo, Real Professional. 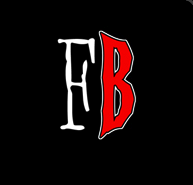 And be sure to follow them on Twitter @RealProfesh. 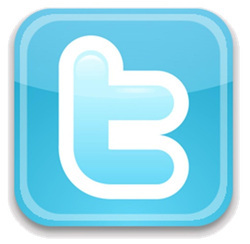 Arcilesi Films is now on Twitter! Follow us for everything Arcilesi Films: trailers, short films, feature films, production notes/trivia, upcoming productions, quotes, and much more! 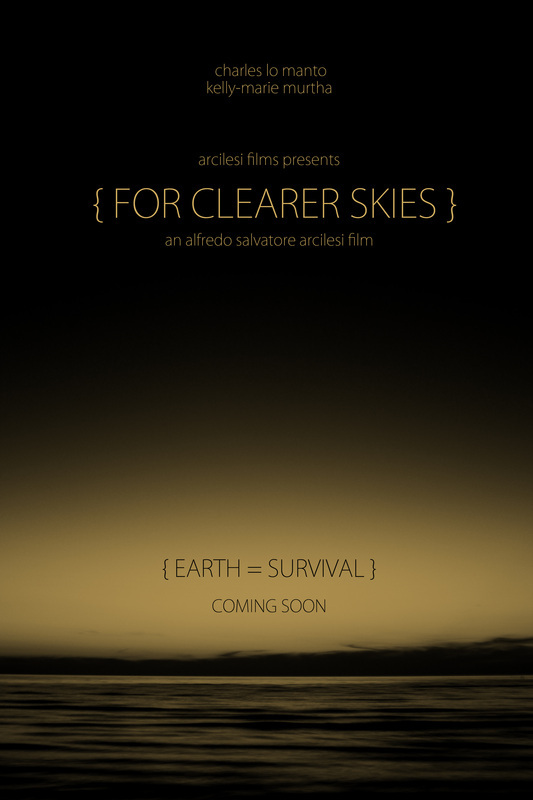 Arcilesi Films switches gears with its new drama/science fiction short film, For Clearer Skies, which is currently in preproduction. Arcilesi Films has teamed up with the grotesquely talented special effects make-up artist duo - Carlos Henriques and Ryan Louagie - from The Butcher Shop. Shedding light on the production is director of photography Nadeem Soumah, writer, producer, and director of the 2011 feature film, Searching for Angels, starring Veronica London and Vivica A. Fox. More cast and crew announcements to come, so stay with us! One down! 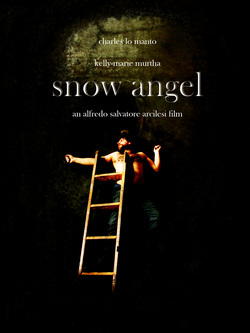 Snow Angel will be screening at the 2011 Prometheus Film Festival in Pennsylvania on Saturday, August 20, 2011 at the Black Box Theater. For a complete list of films, screen times, locations, and much more, check out the 2011 Prometheus Film Festival. 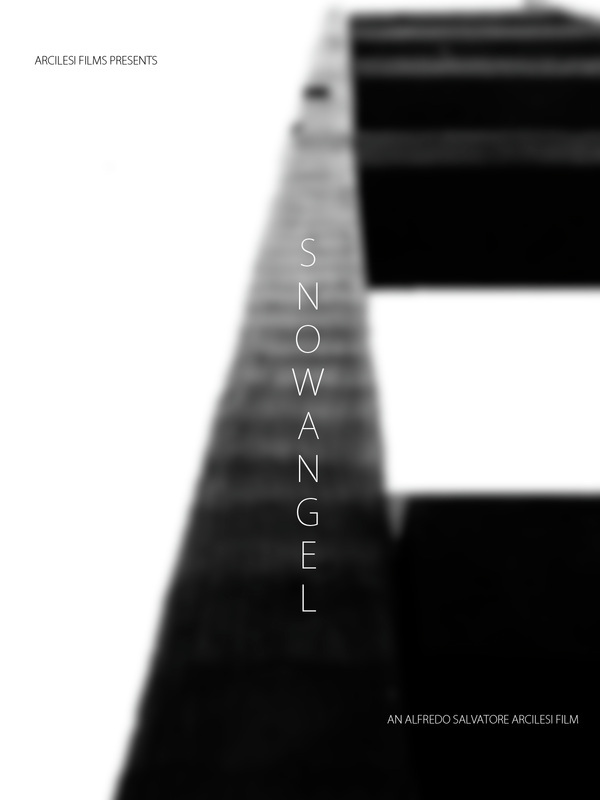 After six weeks of postproduction, Snow Angel, the debut feature film of writer/producer/director Alfredo Salvatore Arcilesi, is now complete! To celebrate its completion, the Official Teaser Trailer is now available. 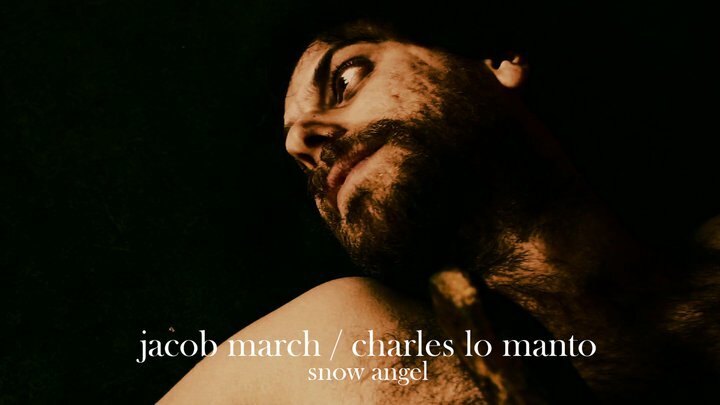 For more information/details, cast/crew bios, behind the scenes stills, production notes/trivia, and more, visit the Snow Angel page as well as the Official Facebook Fan Page. Arcilesi Films now has its own Youtube Channel, ripe with short films, trailers, behind the scenes videos, interviews, and more! Subscribe now! 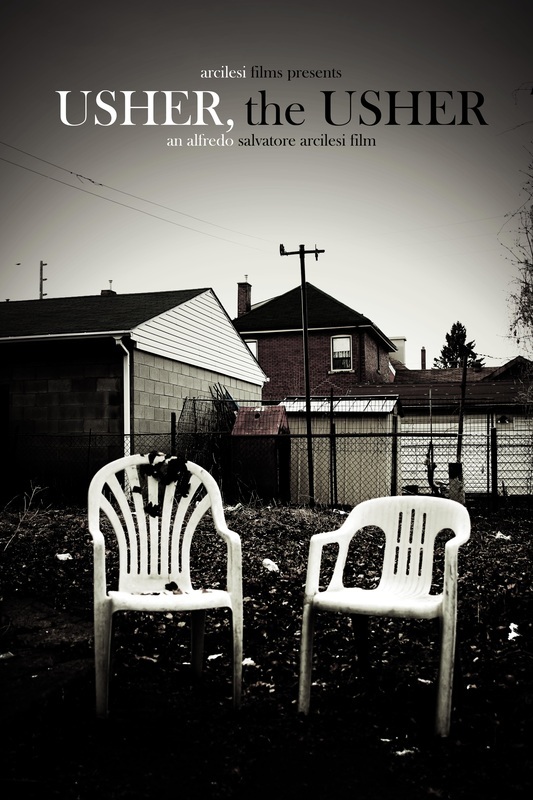 Independent filmmaker and journalist Jason McKinnon, founder of 17 West Productions, recently spoke with Alfredo Salvatore Arcilesi about the highs and lows of independent filmmaking. 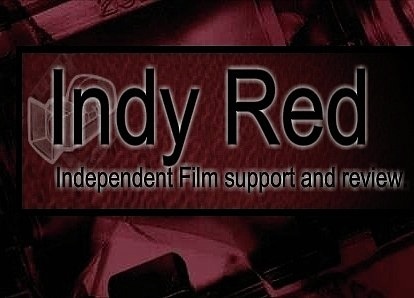 Catch the article at The Athletic Nerd, a blog dedicated to the world of indie film. 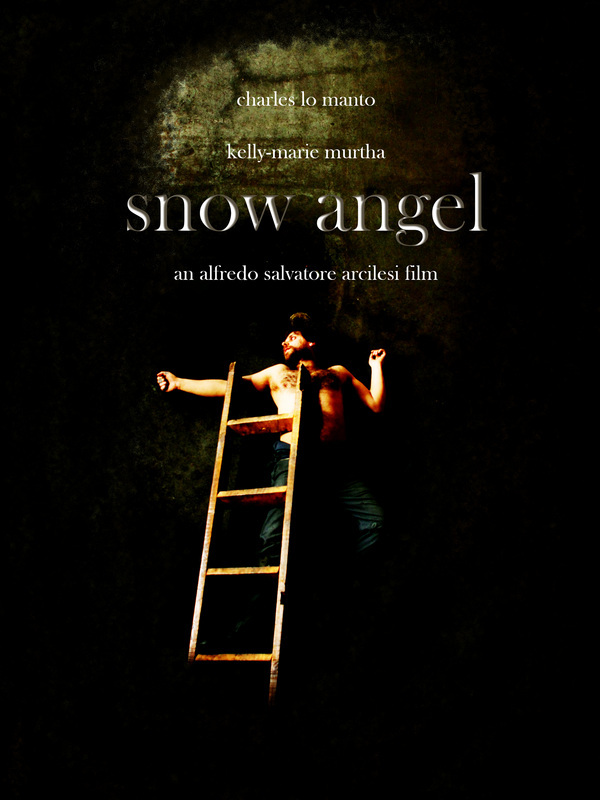 Snow Angel, the feature film debut of writer/producer/director Alfredo Salvatore Arcilesi, has been officially cast. Visit the Snow Angel page to see who is "in front of and behind the camera." Arcilesi Films is proud to announce that Reverie Three has won the Best Narrative Short Award at the 1st Annual Williamsburg Independent Film Festival in Brooklyn, New York. A special thank you to WIFF organizers Gil O'Brien, Mike Brady, Rob Skelly, Peter Bloch and the talented filmmakers who came out to support such a positive event. A special surprise, WIFF was courteous enough to screen God's Acre for two additional nights to sold out theaters. 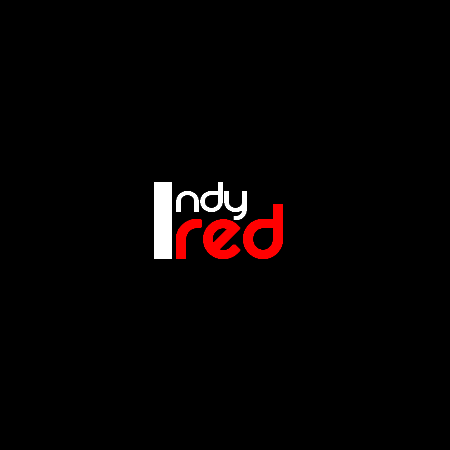 God's Acre has received its first review courtesy of the good folks at Indy Red (short for Independent Red Carpet). Arcilesi Films is proud to announce that the multi-award winning short film, Reverie Three, will be screening at the 1st Annual Williamsburg Independent Film Festival in Williamsburg, Brooklyn. Reverie Three will be kicking off the second night gala at 8:00PM on Friday, November 19, 2010 at the Indie Screen on the Southside of Williamsburg, Brooklyn. 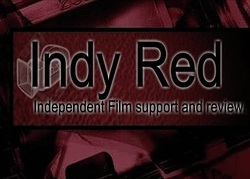 To learn more about Reverie Three, visit the "short films" page. Arcilesi Films is proud to announce that the multi-award winning short film, God's Acre, will be screening at the 10th Annual Anchorage International Film Festival in Anchorage, Alaska. 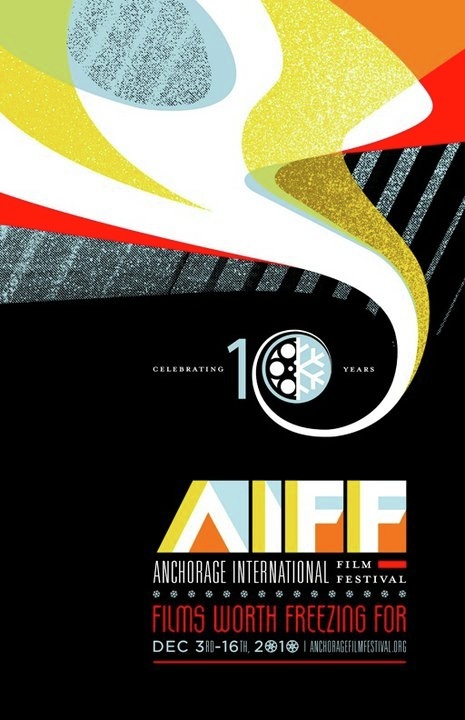 AIFF2010 marks the seventh festival for God's Acre and will be playing to a 14,000+ audience alongside over 120 other short films, feature films, animated films, documentaries and more. The opening night gala kicks off on Friday, December 3, 2010 at the Bear Tooth Theatrepub and continues until Thursday, December 16, 2010 at the Bear Tooth, Out North, and several other venues hosting special events. To learn more about God's Acre, visit "short films" page. 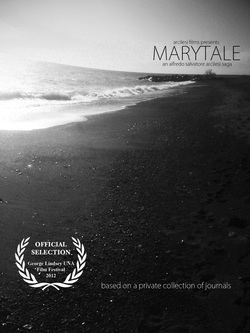 Reverie Three won the Best Dramatic Short Award at the 2009 Lakedance International Film Festival in Sandpoint, Idaho. Here's more on Reverie Three in LIFF '09!